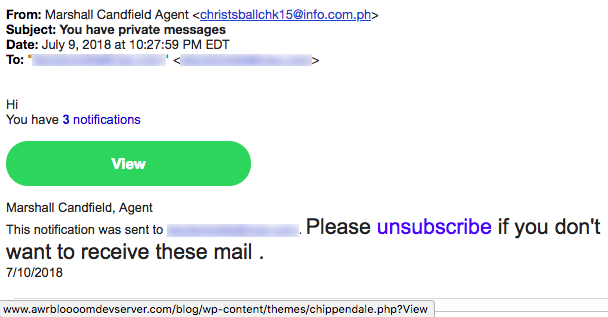 Of course, this is spam at best, but we wondered what was the sender’s agenda. Fortunately, there are free online tools like Google Translate. 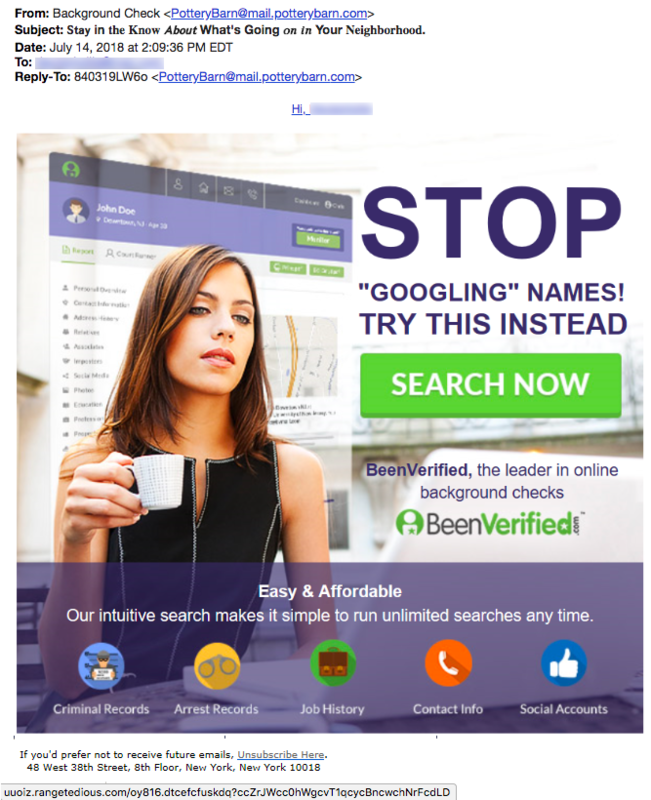 Google informed us that the subject line of the email means “More pictures and effort to win a young woman.” Hmmmm…. Chinese advice on how to get a girlfriend? But when we translated the Chinese from the body of the email we got this: “No one here, I opened my feet” ??? Maybe Google translate isn’t quite so ready for prime time. 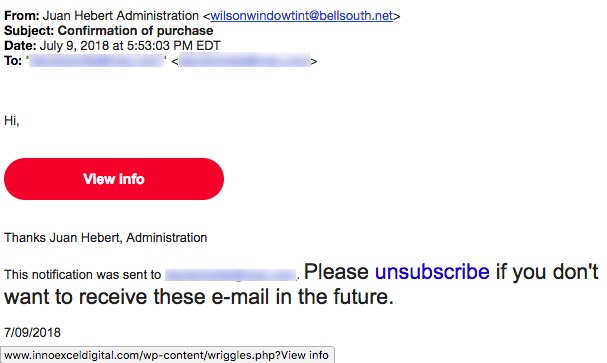 This phish has one of the most confusing and long “from” email addresses we’ve ever seen! This alone should make you suspicious! Fortunately, the criminals who created this email haven’t got the best English skills. This was disguised to look like a locked iCloud account warning. 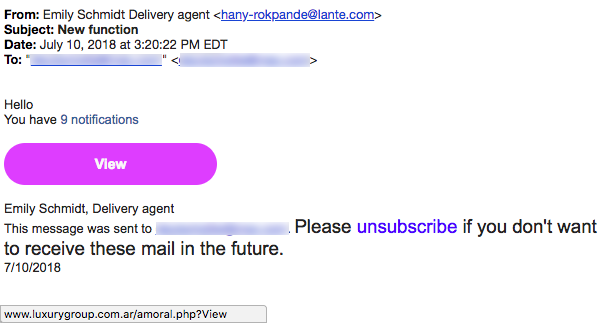 A mouse-over of “Review Account” points to a domain called rantang-sangu[.]biz. The “hootsuite.com” portion is just a subdomain meant to trick you. 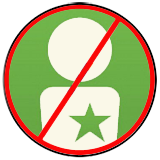 Clicking that link for “Review Account” will send you to a website that looks alot like Apple.com, but it is not! 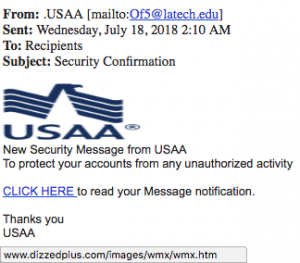 We used to see lots of phishing scams targeting USAA Bank account holders in the winter and early Spring but then things seemed to quiet down for a few months. THEY’RE BAAACK! USAA Bank account holders should be very careful about the emails they get claiming to represent the bank. 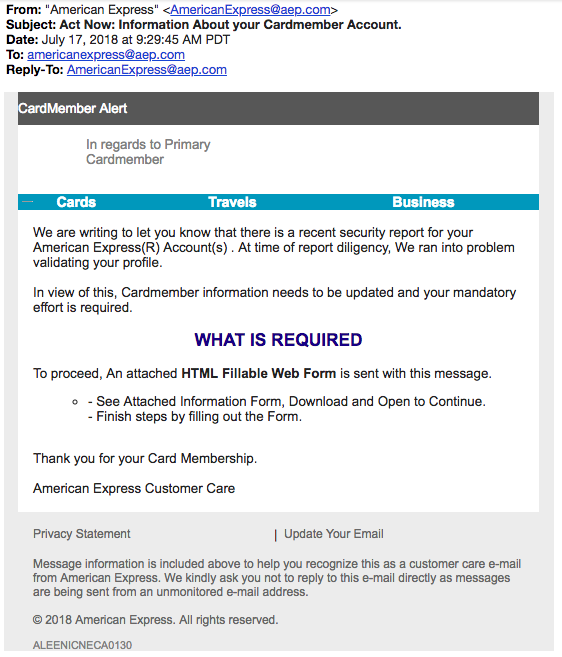 Like this email that clearly didn’t come from the real bank at USAA.com. 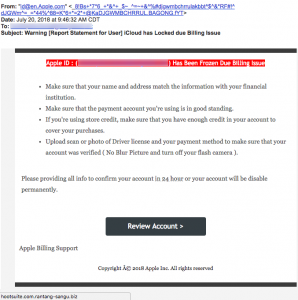 A mouse-over of the link for “CLICK HERE” points to a file on the website dizzedplus[.]com. 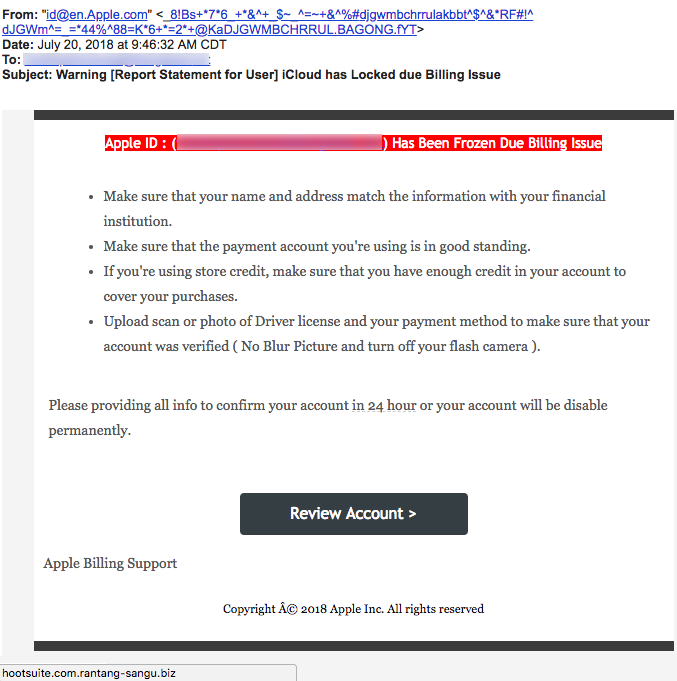 According to BitDefender (see below), there may be more than a phishing scam waiting for you at the end of that link! According to at least three online services including the Zulu URL Risk Analyzer, probebble[. 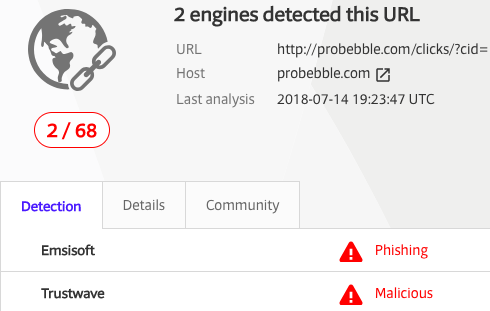 ]com is malicious! Need real verification? 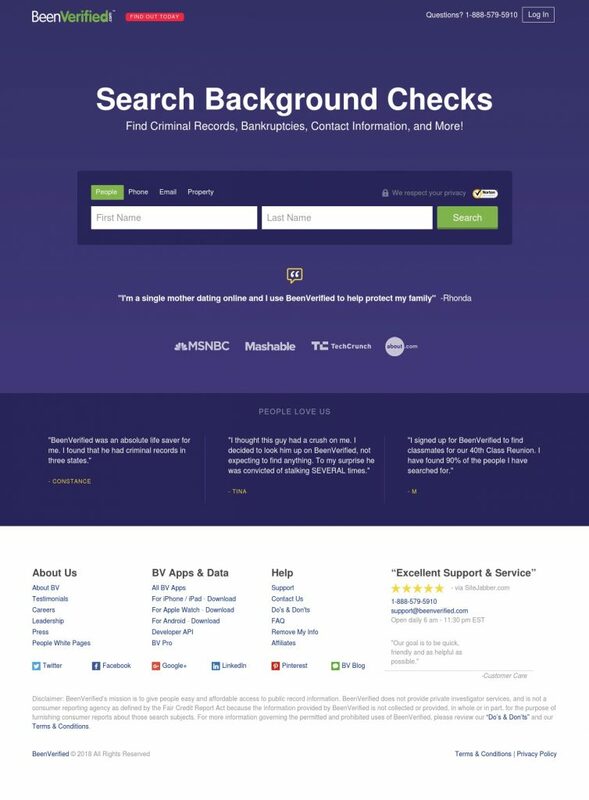 Visit the real BeenVerified.com website, don’t fall for this BS. 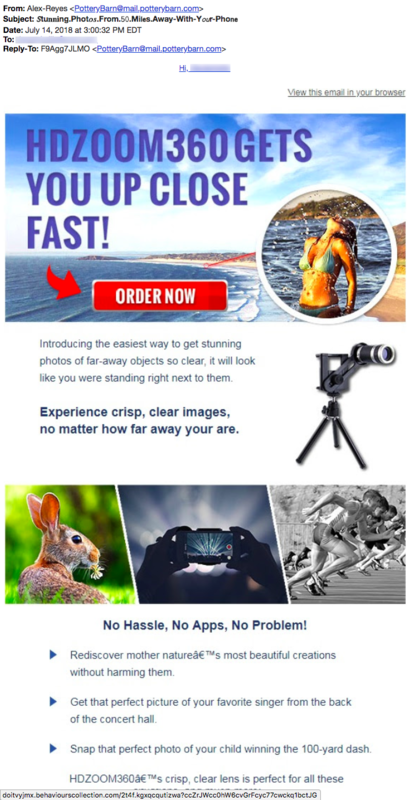 Here’s yet another example of the malicious “Pottery Barn” emails, this one with the subject line “Stunning Photos From 50 Miles Away With Your Phone.” But the links in this email point to a website called behaviourcollection[. ]com (“behaviour” “collection”) And just like the malicious email above, “Behaviour Collection” contains a redirect that will send you to DisabilityComment[.]com. What is it with the 2 word combinations? 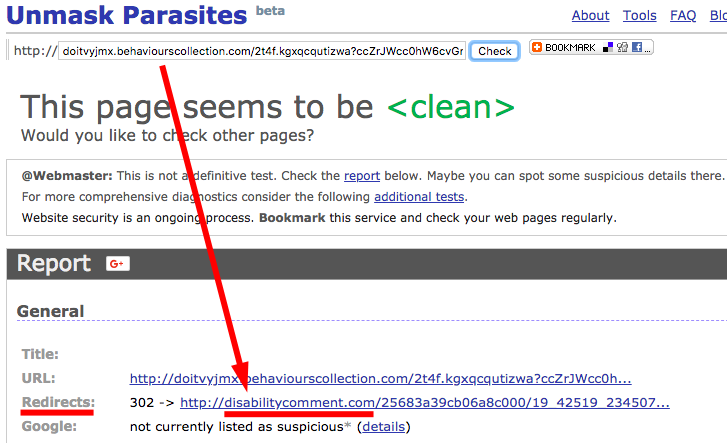 DisabilityComment gets a “suspicious” rating from Zulu URL Risk Analyzer. 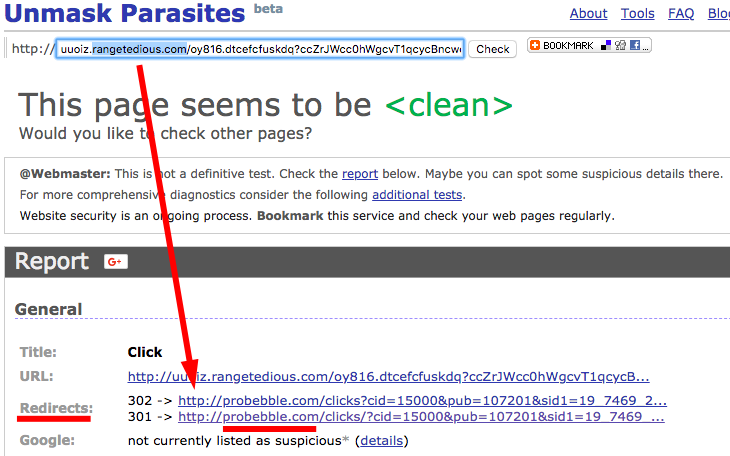 We can guarantee that it is 100% malicious. 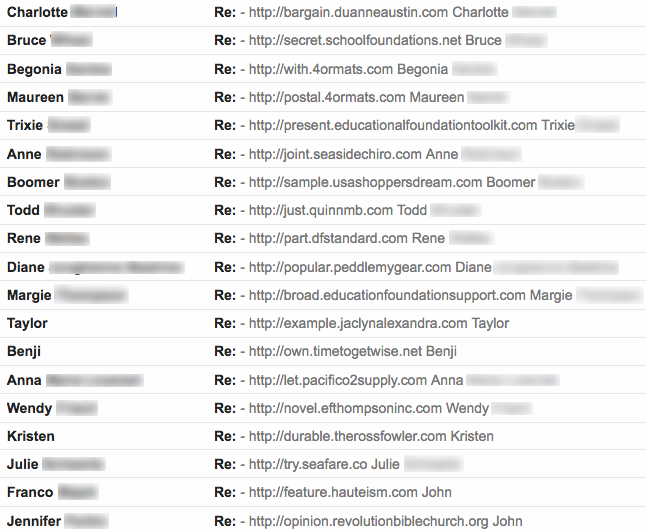 It turns out that every one of these emails actually came from an email server in Japan. (“.jp” = 2-letter country code for Japan) Mousing-over a person’s name revealed the email address. 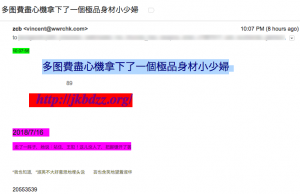 “OCN.NE.JP” shows that these emails are coming from “Open Computer Network” the largest Internet service provider in Japan. So what’s going on here? Are all of Doug’s friends and acquaintances coincidentally visiting Japan? Every one of those names is someone whose email account was hacked and, among other damages, had his/her contact list stolen. 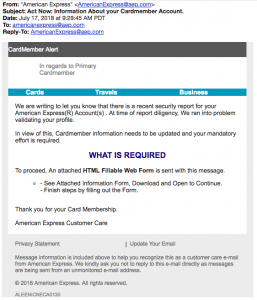 The thieves send out emails with malicious links to target the contact list with malware and the hope of infecting computers. We call this “From Hell” because these malicious emails come from hell and will continue for years, as long as we have our email addresses. 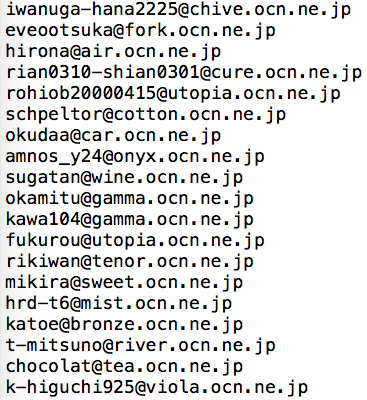 Below are the misused email addresses from Japan used by the hackers for this group of malicious emails. Next week or month the emails will come from a different email server somewhere in the world. The only thing that will remain constant will be that they contain a malicious link and they will include the names of people Doug knows. 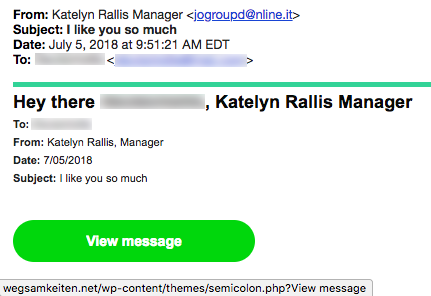 We’ve been seeing lots of emails that are all very similar, stating that we have new “notifications.” Here are five examples. Clearly, the criminal sender likes colorful buttons! 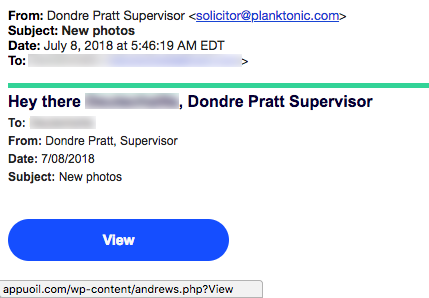 Each of these email with the “VIEW” message button contains a link to a different website. They were not all received on the same day. Yet each link points to a fake online Canadian Pharmacy. 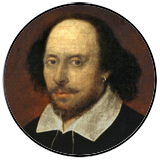 We hope you wouldn’t buy pharmaceuticals from these bogus sites. 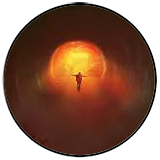 There’s no telling what is in the pill you plan to swallow!